The Toshiba FlashAir III W–03 is designed to work out-of-the-box. Insert in a camera and it’s ready to go. But that isn’t simply the case with me. 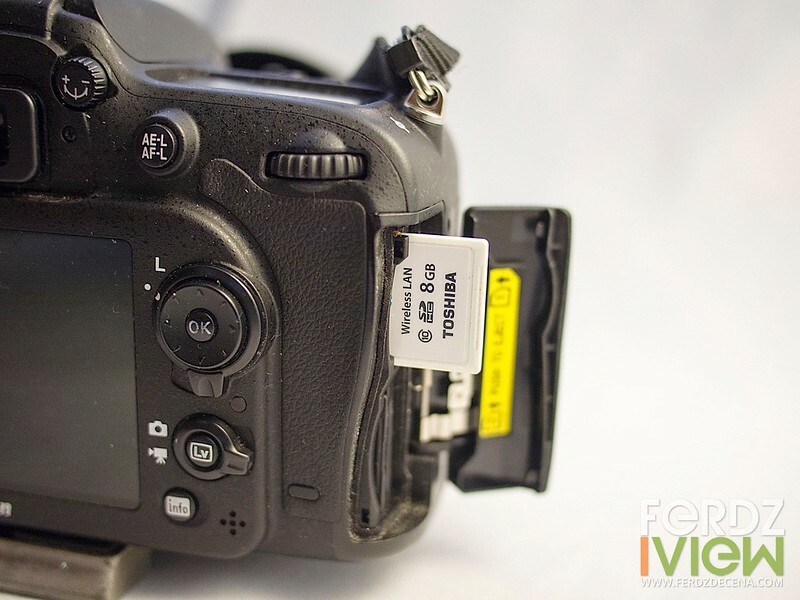 In this review, I used the 8gig capacity drive on two of my cameras – the Nikon D7100 DSLR and the Olympus OM-D E-M5. While I could immediately see the WiFi already active by default network ID “flashair_xxxxxx” (xxxxx usually unique), I had a hard time keeping connection. Most of the time it would lose connection. Reading forums, I found it’s a common problem. The fix is to set it up first on a computer using the FlashAir Configuration Software available at the Toshiba website. It would scan the SD card for configuration and updates as well. Changing settings network name (SSID) and password (network key) can be done as well. Once configured, I had no problem keeping connected with the wifi. I’ve read that the previous versions of the FlashAir is a battery-drain monster. I never experienced major battery drain on this version though but I did notice that for the D7100, I had to activate the Live View Mode on to keep the SD Card powered up to use the Wifi and transfer photos. 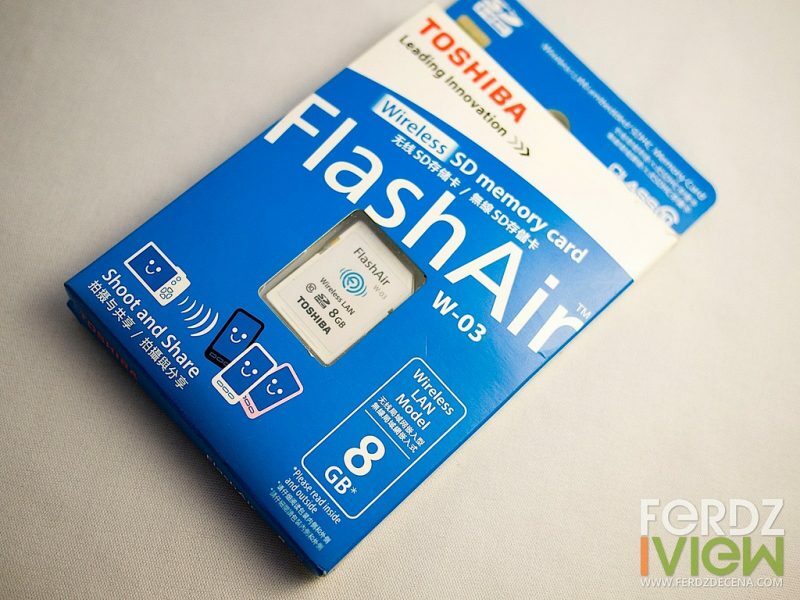 The Toshiba FlashAir III W–03 also supports multiple connection of up to 7 devices but may slow up and consume more power. 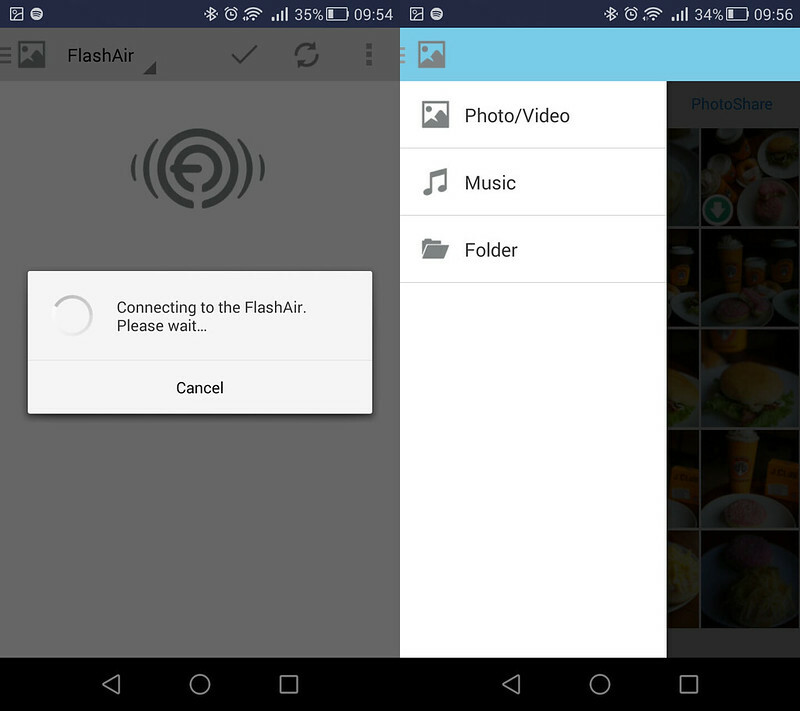 The main interface for transferring photos from the Toshiba FlashAir III W–03 to a smartphone or computer is through the FlashAir App and also through its browser interface. 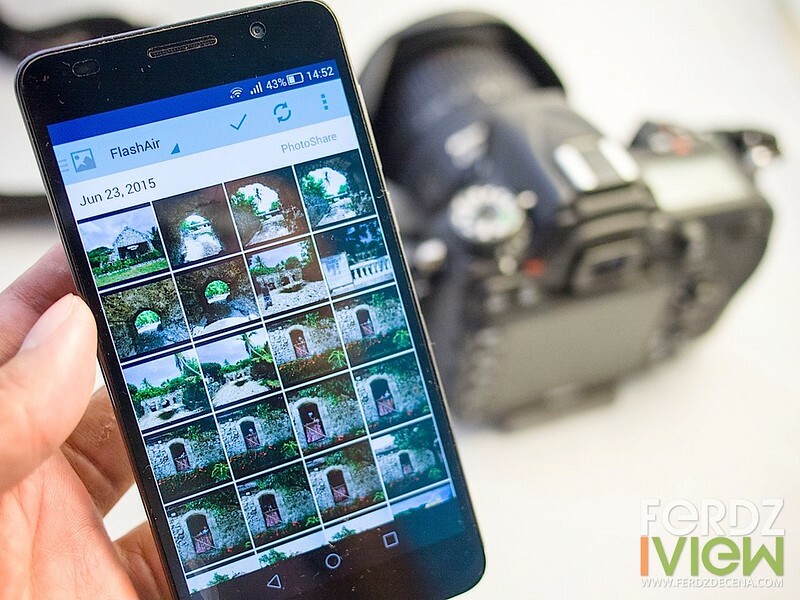 Initially if the smartphone connects to the SD card, it will launch the default browser and open the file explorer interface. 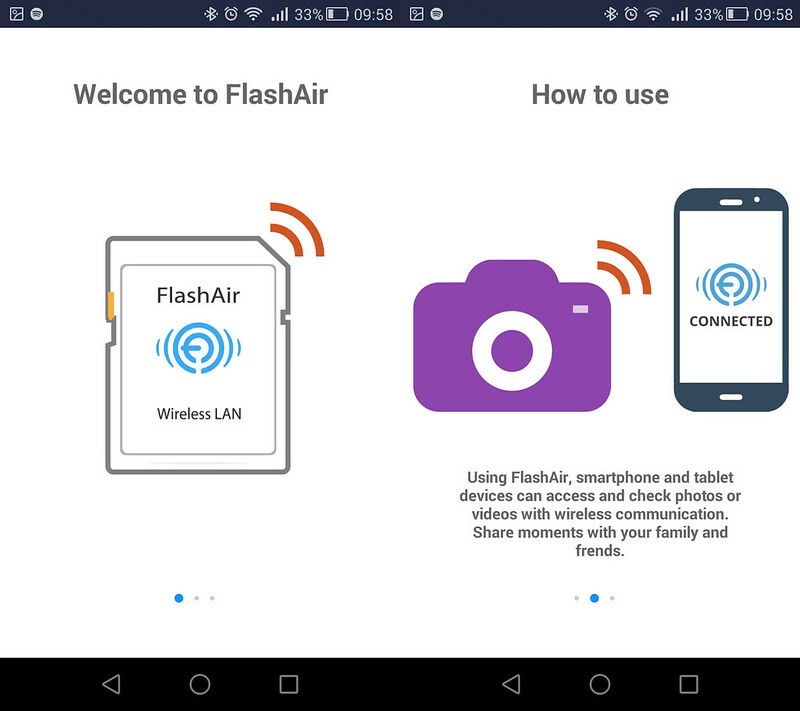 The FlashAir App (available to both IOS and Adroid) is similar to the browser version so its just a matter of preference. There’s the thumbnail view. Clicking on the individual thumbnail will open up the single photo view and options to download the photo or share it. Download time is quite fast even if the file is 15mb in size. It takes only a few second. One downside with the app or software though is that there is no option to download a smaller version of the file unlike other built-in wifi applications I tried. The large file is the only option to download. 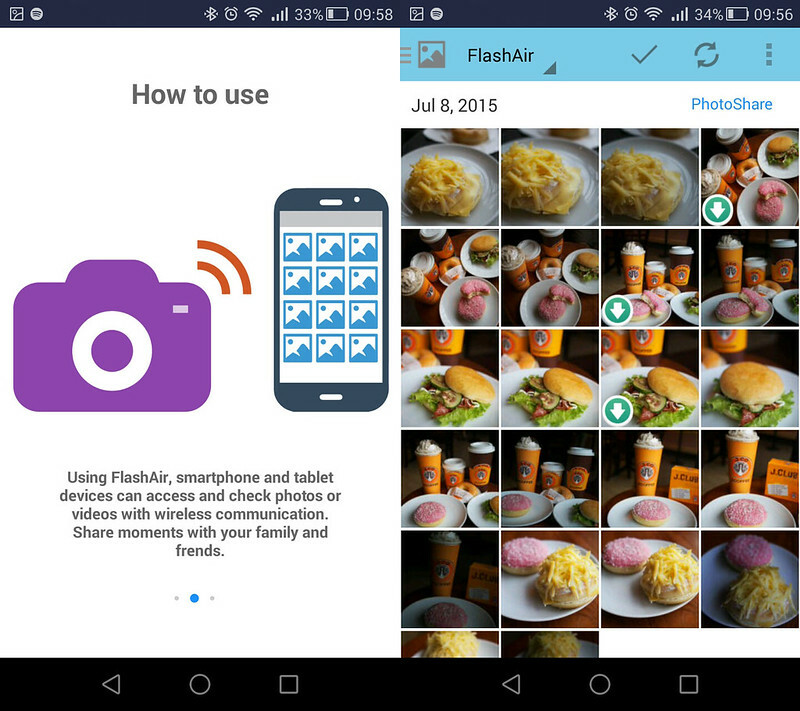 Multiple downloads is also possible by selecting a number of photos at the same time. On the smartphone it will download to the folder same name with the Wifi SSID. 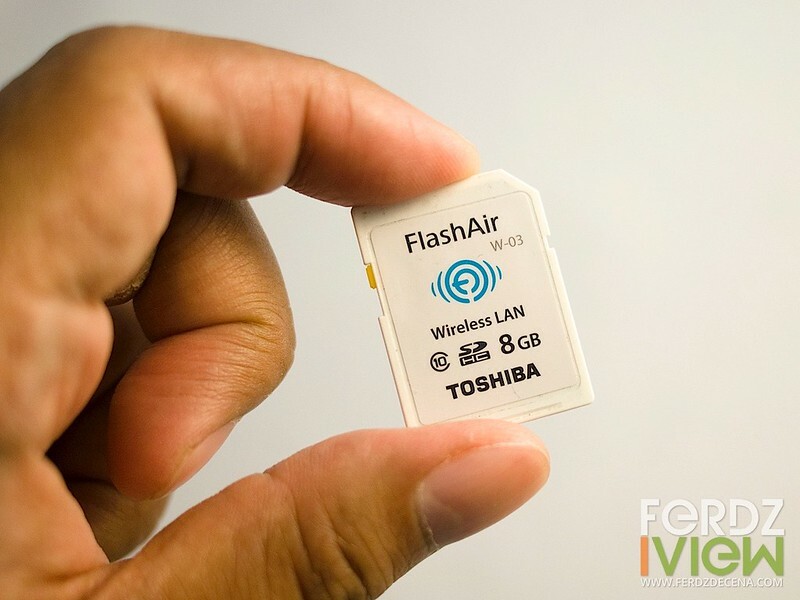 For adding WiFi instant transfer to a non-wifi capable devices, the Toshiba FlashAir III W–03 does the work well once configured properly. File transfer is ultra fast but there’s still room for improvement like an option for downloading smaller files too. As an SD card class 10, it’s write speed is reliably quick too but its usefulness as a Wifi device is dependent on the capacity. In this regard, better get the 16gb and 32gb ones though the 8gb ‘aint bad if you’re only shooting JPGs.